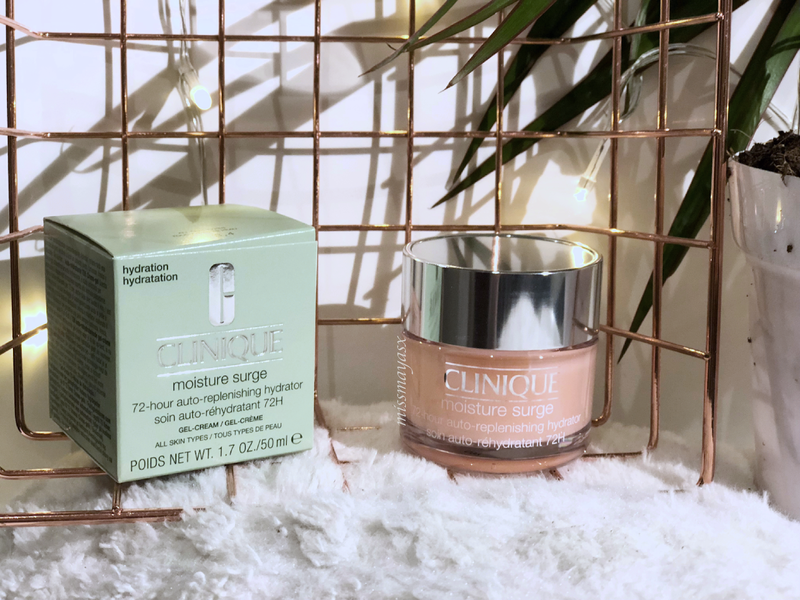 Some of you may already know that I recently started working for Clinique, and I couldn't be happier to be sharing one of my all-time favourite products with you. The original Moisture Surge Hydrator has been around since 1980's and has not been spoken about enough. Moisture Surge has been labelled the UK's number 2 best-selling moisturiser of all time which is very well deserved. I have tried many moisturisers for my oily-dry combination skin and none of them seemed to work as well as this one. 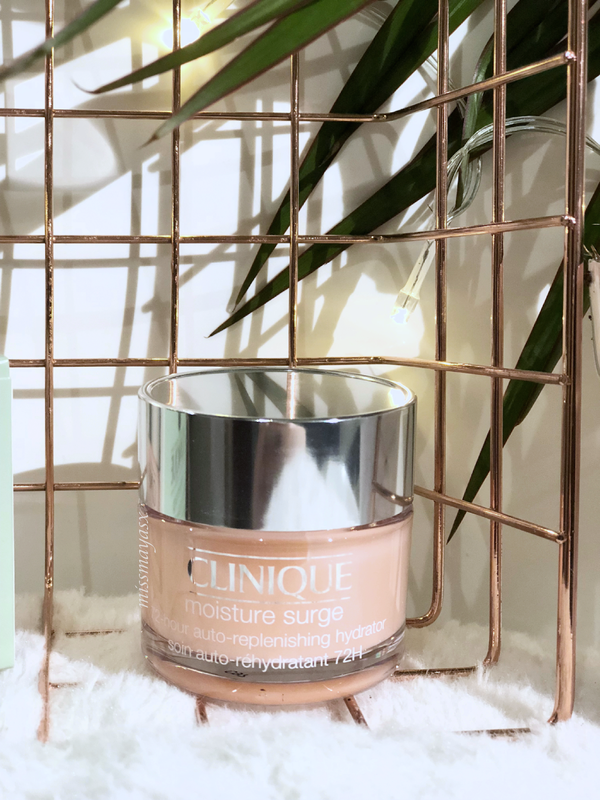 The first Moisture Surge I have tried was the newer version which was released in 2012 (I think) and I absolutely loved it. It felt very lightweight and soothing on my skin and made the perfect base for my makeup. The new, and improved version, however, is pretty much the same texture as the previous one but with more benefits. The inspiration behind this miracle in a jar was to bring our skin to a baby-like condition. As we mature, our skin loses its ability to create its own hydration, becoming drier and losing its natural suppleness and healthy glow. 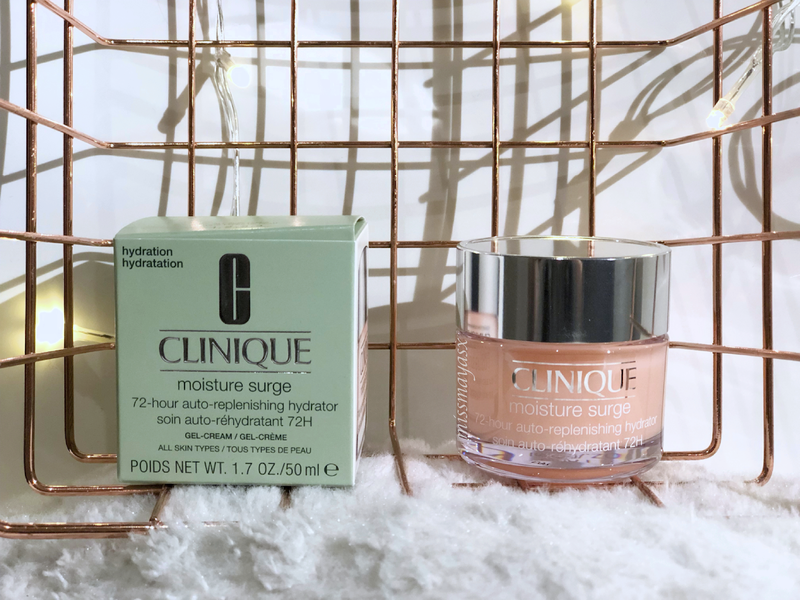 Now, the new Moisture Surge 72-Hour Hydrator has been designed to keep your skin hydrated for up to 72 hours from within the dermis even after washing your face! This, of course, does not mean that you shouldn't apply the product twice a day, but what it does mean is that it will deliver a continuous flow of hydration to every living layer of the skin - sort of like watering a plant you can see the water sink in to the roots and that is exactly what this product does. 5-Minute Moisturising Mask - apply a generous amount to your entire face and wash off after 5 minutes for a hydrating face mask. Cuticle Treatment - tidy up your cuticles in seconds by massaging the product over each nail bed to soften and soothe dry and rough cuticles. Frizz Fighter - get rid of frizzy hair by applying a dime-size amount onto your palms and running your hands lightly through the ends or any frizzy bits. Glow on the Go - apply a small amount of the product on the back of your hand alongside a thick swatch of the Chubby Stick Sculpting Highlight, mix both products in together and apply the mixture to the high points of your face as you would with a liquid highlighter. Dry Spot Soother - apply a small amount directly to any dry spots in need, even over your makeup. Sheer Bronzer - mix in a liquid bronzer then blend the mixture all over your face for a sun-kissed glow. Wow Now Practice - apply Moisture Surge onto the back of one of your hands and dab over with face powder - apply only powder onto the other hand and compare results - you should see how smooth the hand will look where you've used the hydrator. My initial thoughts on this new Moisture Surge are that it made my skin feel like velvet and baby-like. If you've read my Porefessional review you will know what sort of feeling I meant by this, but it is quite indescribable unless you've tried the product yourself. Once I've applied the Moisture Surge I let it sink into my skin for a couple of minutes, (it does have a tacky feeling to it so if you like to put your makeup on such consistencies then go right ahead as it will make it last longer) and go on to apply my makeup. 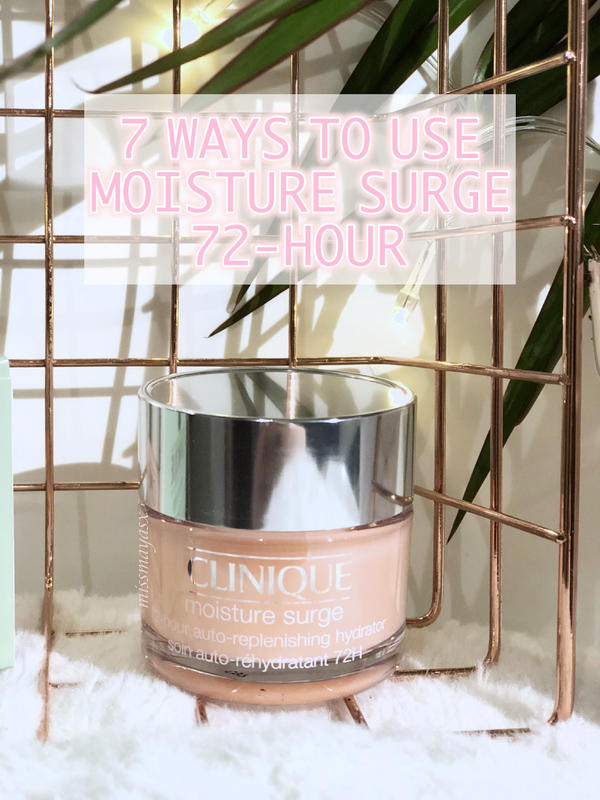 I've found that my makeup sits on my skin a lot better when I use Moisture Surge 72-Hour and actually lasts longer without my foundation separating. Even after I take my makeup off, I can feel how smooth and velvet-like my skin is - this is definitely the best product of 2018 and it's only February! 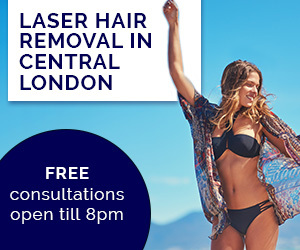 So, well done Clinique! You have really outdone yourself this time! *Available in UK stores from the 2nd March 2018. You can purchase the new Moisture Surge 72-Hour Auto-Replenishing Hydrator through their website here. 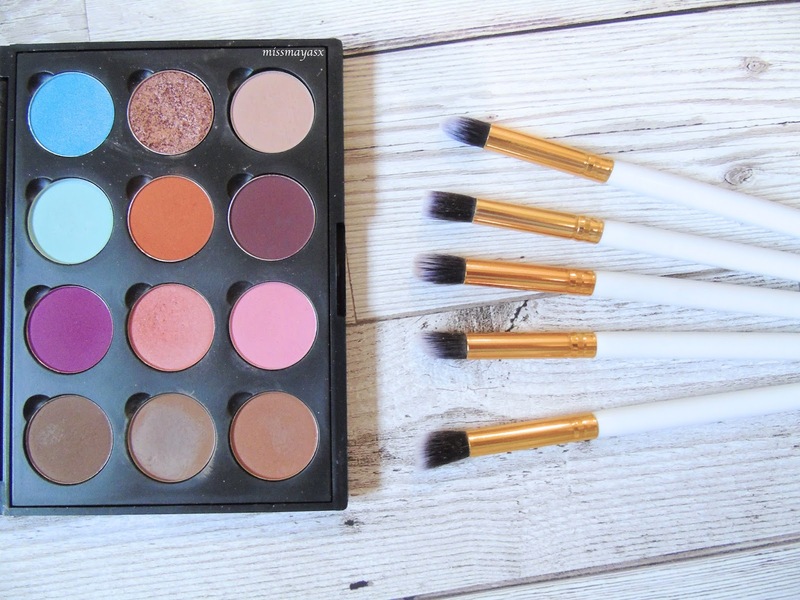 I've been wanting to try this range!